With casting news starting, talk of The Hunger Games is going crazy on entertainment new sites, fan sites, and Twitter. It an often be hard to find pop culture shirts that are 1) in your size, 2) customized to your personality, and 3) shipped to your country. CafePress takes care of all of that because you can customize many of their designs to different styles and sizes of shirts. Plus, they ship internationally! Here are some of the new shirts that we have seen for sale this week. The selection does change so be sure to order when you see one that you like and also check back frequently for new ones. 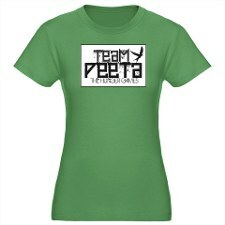 Right now there are quite a few Team Peeta shirts, which I am sure means that there will be Team Gale shirts soon. 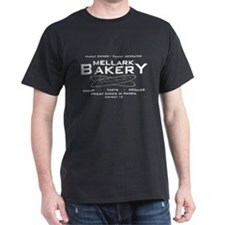 There are shirts about District 12 and District 13. There are even a couple that just say “Katniss Everdeen Is My Hero.” Visit the Hunger Games site on CafePress to see all of them. Do you plan on getting Hunger Games shirts? Which are your favorites?